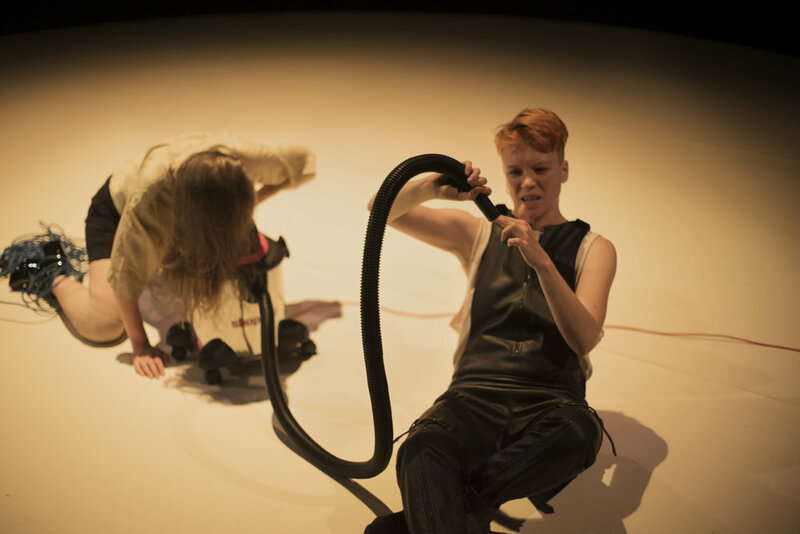 This new performance work by Jo Bannon explores desire, sexuality and neoliberalism. 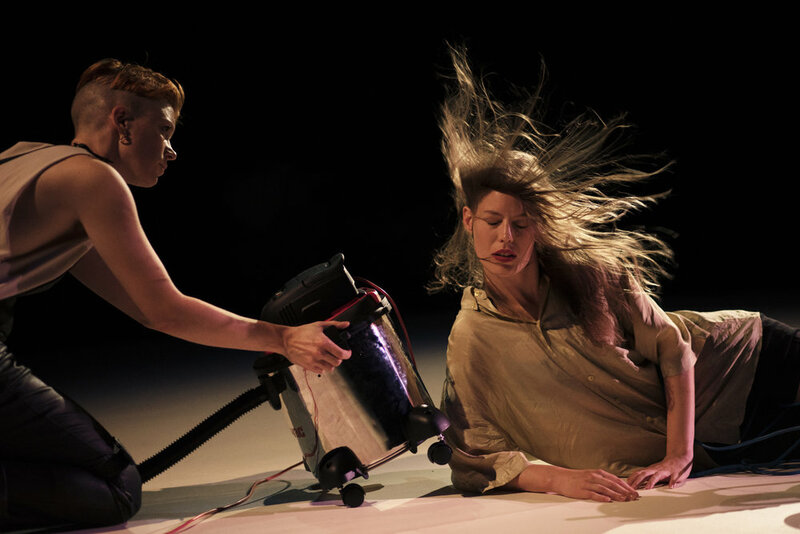 As the three female performers vibrate, our gaze on them is shaken, shifting what we see. The room quakes with the force of these vibrations until patriarchy wobbles on its precarious perch. The performance explores the modern feminist experience of personal, psychological and political penetration in this melodramatic opera. We Are Fucked premiered at Arnolfini in Bristol, and was presented at Southbank Centre’s Unlimited Festival 2018. It will tour in 2019. If you would like to find out more about We Are Fucked, drop Matthew a line. Jo Bannon is a UK artist making live art and performance. She has presented work in the UK, Europe, South America and Australia including The Barbican, Art Gallery of Western Australia, Arnolfini, Itau Cultural Brazil, Battersea Arts Centre, PAD Mainz and the National Theatre. She is a founder member of artist collective Residence. For We Are F*cked Jo Bannon is joined by Rosana Cade and Louise Ahl. Commissioned and supported by Unlimited, celebrating the work of disabled artists, with funding from Arts Council England. Additional support from Residence, Access2Arts and Arnolfini. Produced by MAYK.